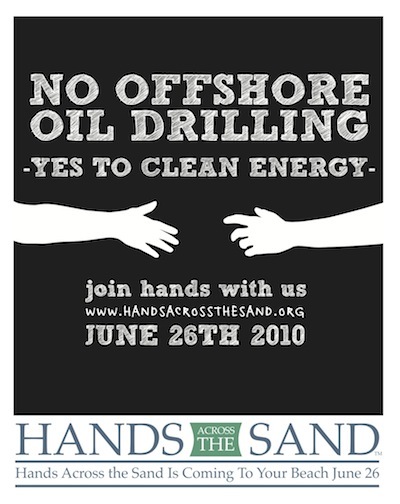 Here is another event on the blog-o-sphere related to oil spill clean up. The fantastic folks at Craft Hope have partnered with The Institute for Marine Mammal Studies, the Audubon Nature Institute, and the Mississippi Sandhill Crane National Wildlife Refuge to assist them in their efforts in caring for and cleaning oiled marine mammals, mostly dolphins, other marine mammals, birds, and sea turtles. Since these creatures are naturally curious and head straight towards all the oil slick activity, they’re asking all crafters who can sew, knit or crochet to send in sets of 10 – 20 hand-crafted wash towels and/or hand rags. They are, after all, called “Craft Hope”. These towels and rags will then be used to help clean up the mammals, birds and sea turtles. No worries on sending anything fancy. Visit their website to get all the information on how to participate in their project, but don’t tarry…the project deadline is the end of August! All of your donations can be of great help! Looking for a crafty way to help out sea turtles? If you live near Mill Valley, California, you should check out the July 17 event held by the Sea Turtle Restoration Project called the “Sewing Brigade Workshop”! Make sure to sign up and get more information at their website! August 14 – San Francisco Arts and Crafts Show to Benefit Sea Turtles – Calling Artist Participants! Are you an artist or crafter looking for a show with a cause this year? Check out the Sea Turtle Restoration Project’s Art Show and Auction Donation being held on August 14th. The show is being held to help raise funds to protect sea turtles and the oceans from the oil spill atrocities of this summer. They’ve even setup a Flickr group for you to peruse to see what has currently been donated for auctioning and what other craft and art items you can expect to see at the show. The show will be held in San Francisco, but even if you aren’t a local, notice you can still donate an item for the silent auction. There’s still time to be included in the show’s publicity – the deadline is July 2nd, but you can still donate or sign up after that. So go! Participate and do something good with your craft! Comments Off on August 14 – San Francisco Arts and Crafts Show to Benefit Sea Turtles – Calling Artist Participants!